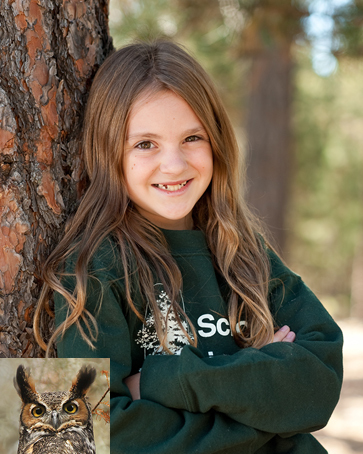 I’m Emily, a fourth-grader at School in the Woods in Colorado Springs, Colorado. I love the Great Horned Owl’s call. Did you know that Great Horned Owls almost always hunt at night? First, they locate their prey from small movements on the ground. Next, they dive down at the perfect moment. Finally, they catch their prey with huge talons on their feet. BirdNote thanks the families and teachers who inspire young people to love birds and natural science. This is BirdNote! Today we have a special guest. “What was that? 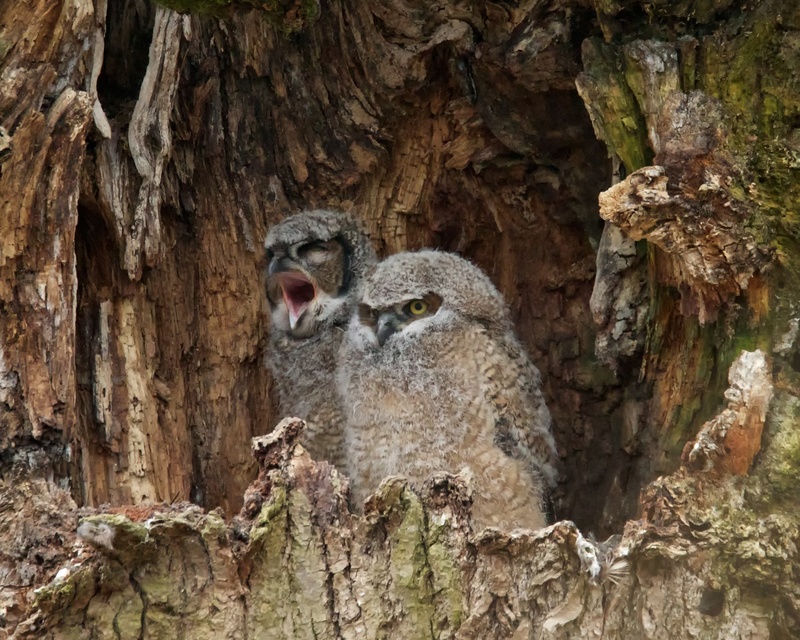 [Repeat screech] It must have been a Great Horned Owl! Did you know that Great Horned Owls almost always hunt at night? I’m Emily, a fourth grader at School in the Woods. I love the Great Horned Owl’s call. Great Horned Owls hunt from their excellent ears. The first way they hunt is they locate their prey from small movements on the ground. Next, they dive down at just the perfect moment. Finally, they catch the prey with huge talons on their feet. 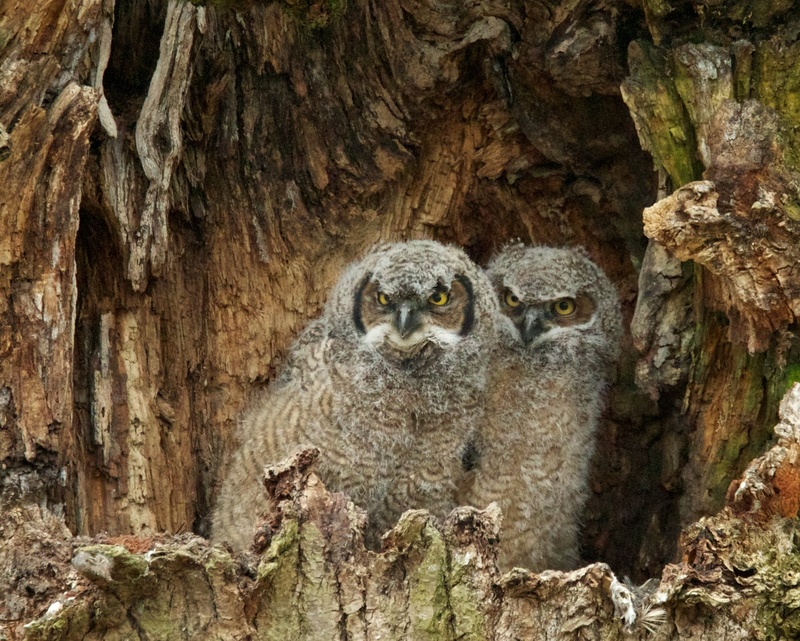 Young Great Horned Owls are fed voles and rabbits until they are about 4 1/2 months old. After that, they have to fend for themselves. 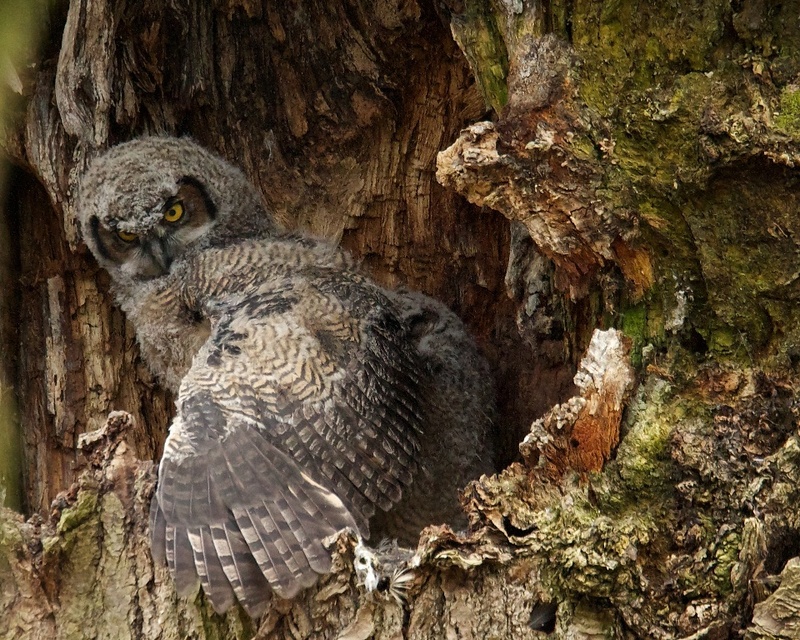 Young owls’ first hunting forays are clumsy. They catch no more than large insects, and sometimes sick or young mammals. BirdNote thanks families and teachers who inspire in young people a love of birds and natural science. School in the Woods is in Colorado. Find a link to it at birdnote.org. Bird sounds provided by The Macaulay Library of Natural Sounds at the Cornell Lab of Ornithology, Ithaca, New York. 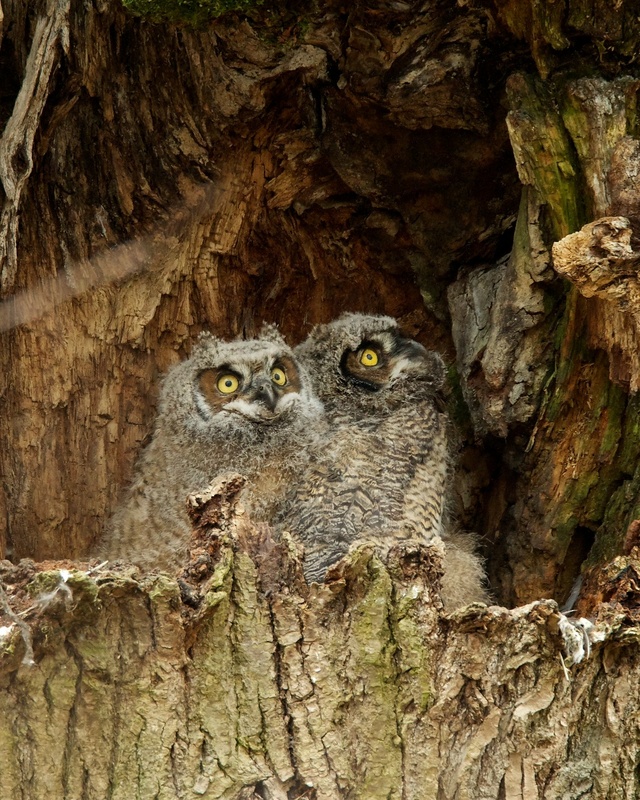 Squawk of adult Great Horned Owl  recorded by W.L. Hershberger; crickets by N. Tucker; hoot of female Great Horned Owl and hoots of male and female  by W.R. Fish; screech of juvenile  D.S. Herr. If you're a teacher using BirdNote in the classroom, please let us know! School building narrowly escapes Black Forest fire -- Read the story!